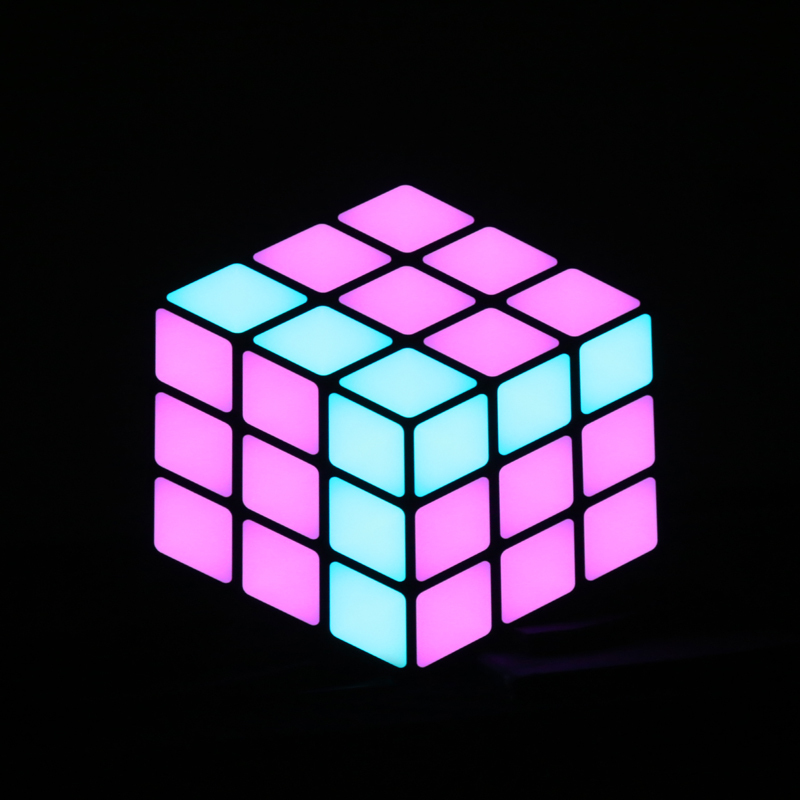 Utilising RGB SMD 5050 LEDs combined with retro styling the Rubix offers a fresh approach to on-stage ‘eye candy’ effects. 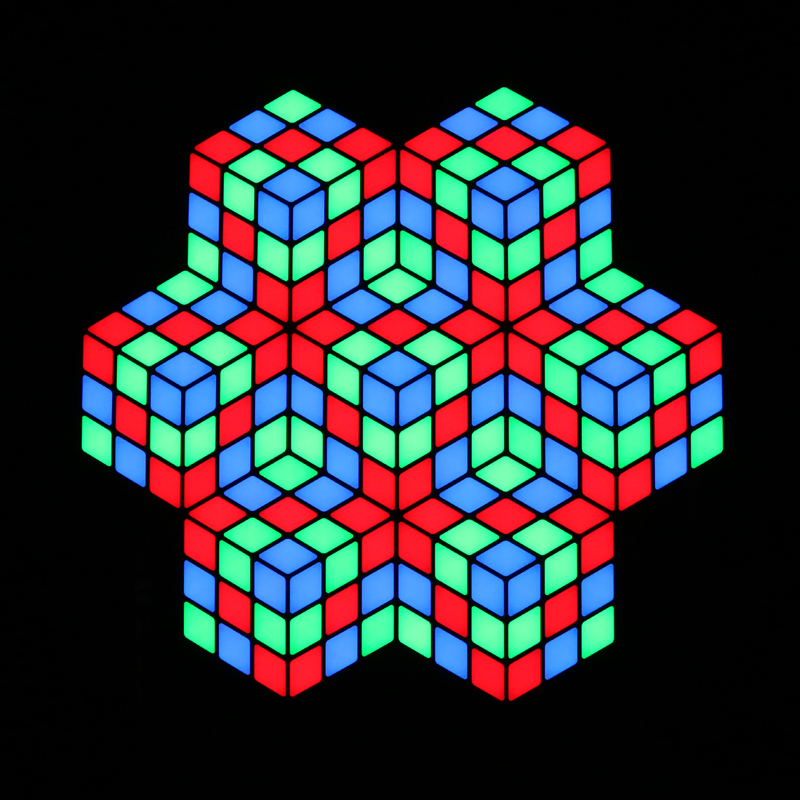 Twenty seven pixels, arranged in a hexagonal chassis generate a full colour, 3D effect as the colours bring the flat panel to life. 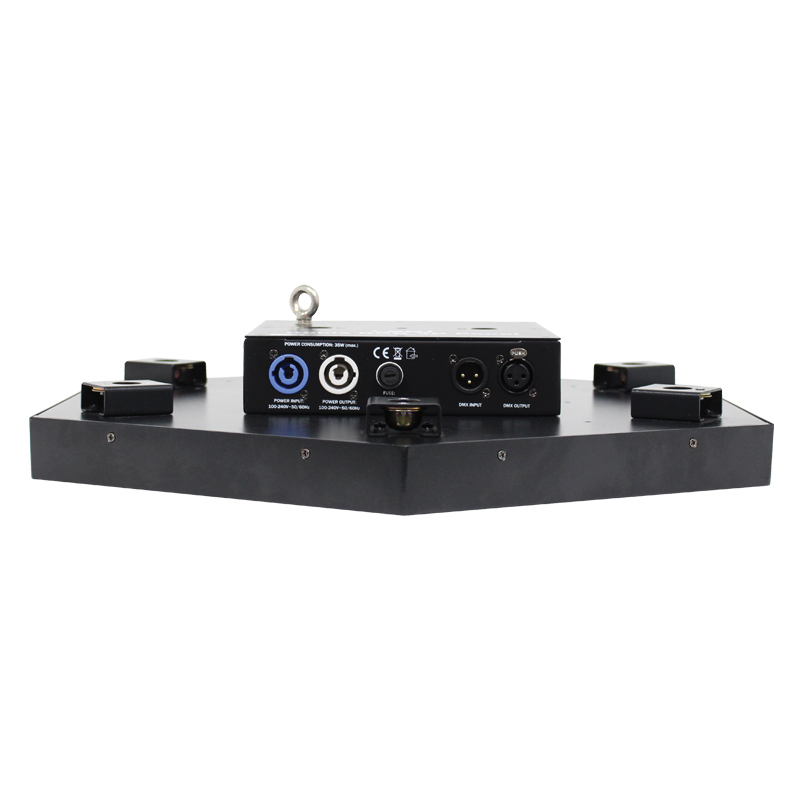 The choice of control options include sound active, master/slave, and auto, accessing a large number of built in macros making these ideal for night clubs, entertainers or on stage. 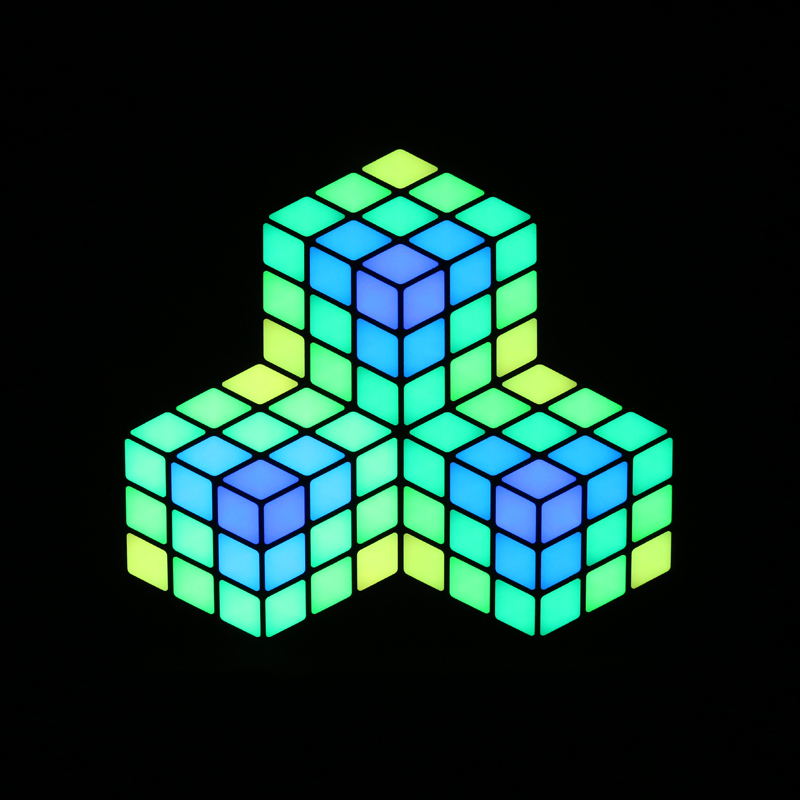 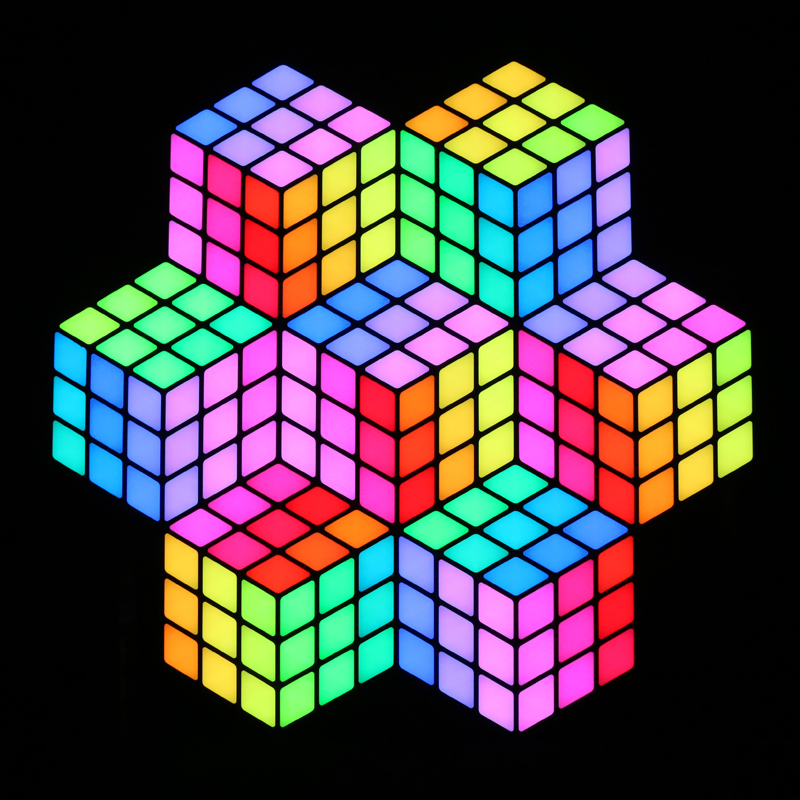 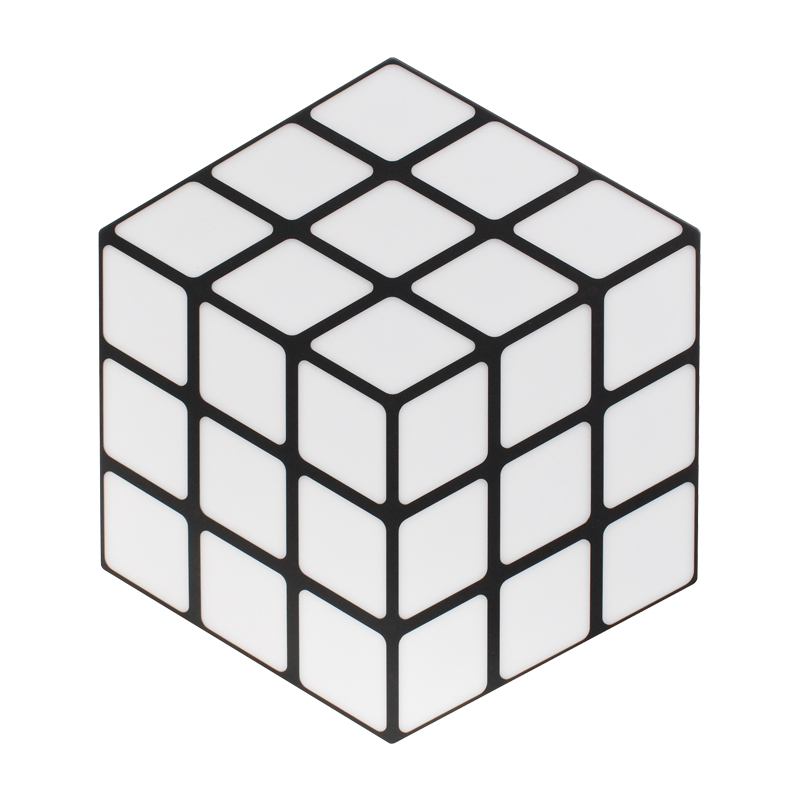 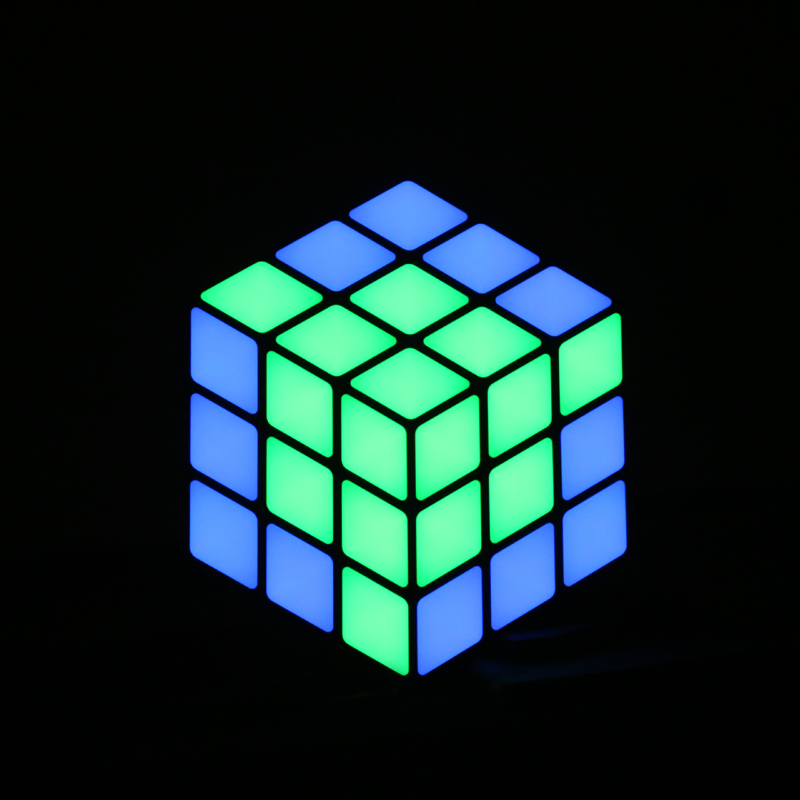 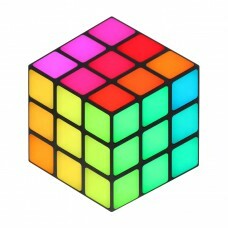 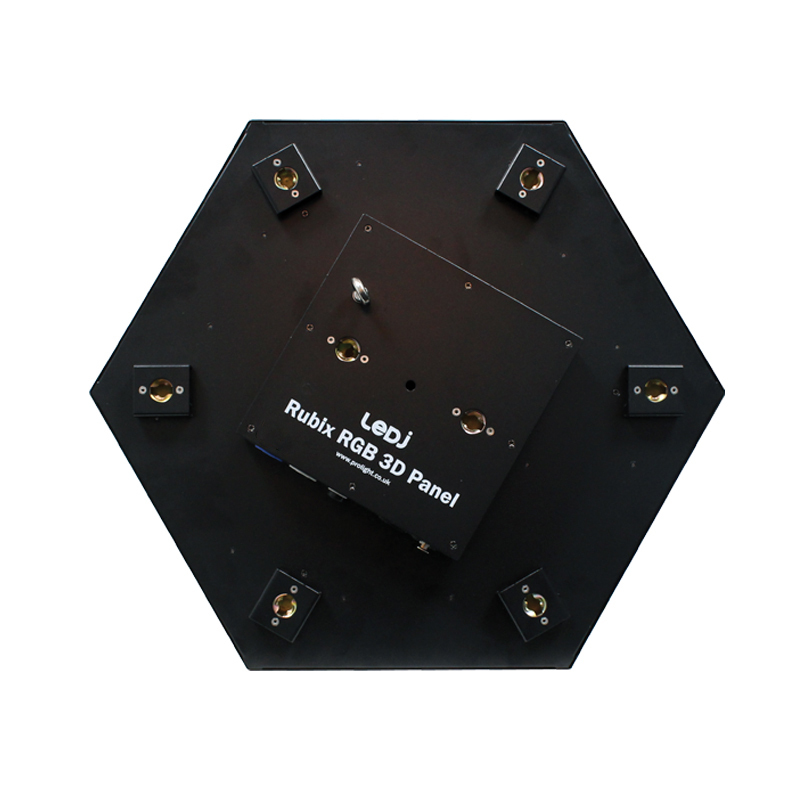 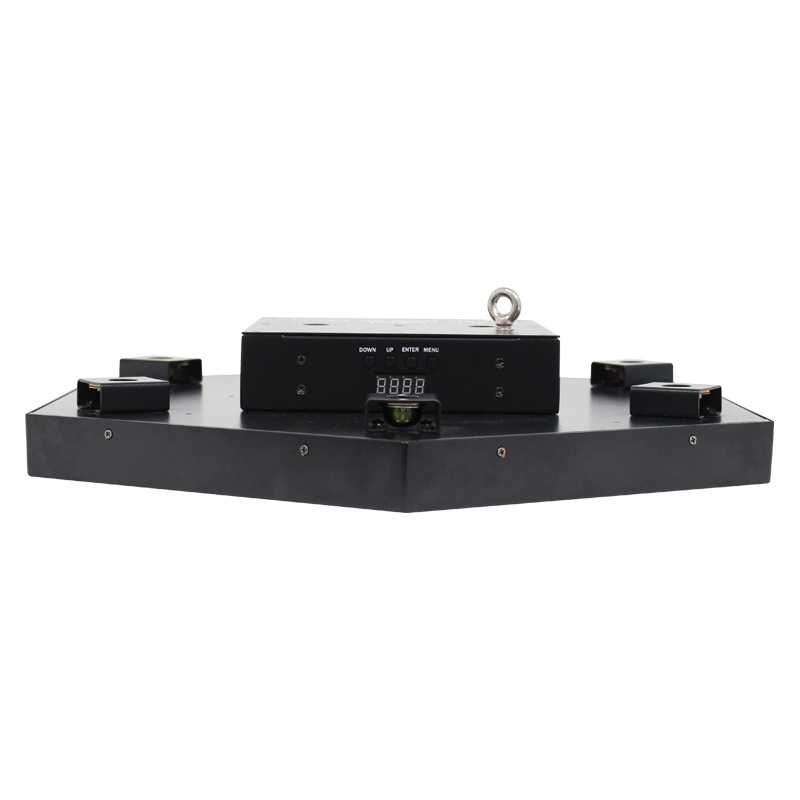 The Rubix also features full pixel mapping capability for integration into larger systems.